Home » Boulder Lake Domes – New Routing Anyone? The Boulder Lake Domes chapter (see below for download link) did not make the print guidebook because the area is still in it’s infancy. However, there is good opportunity for new route development. Above Boulder, WY’s, Boulder Lake trailhead and summer homes, near the edge of the Wilderness Boundary, is a cluster of large granite domes nicknamed “The Ranch.” Although these rock formations have always had obvious climbing potential, they remained relatively unexplored until the summer of 2010, when all but a hand­ful of the routes listed herein were established. 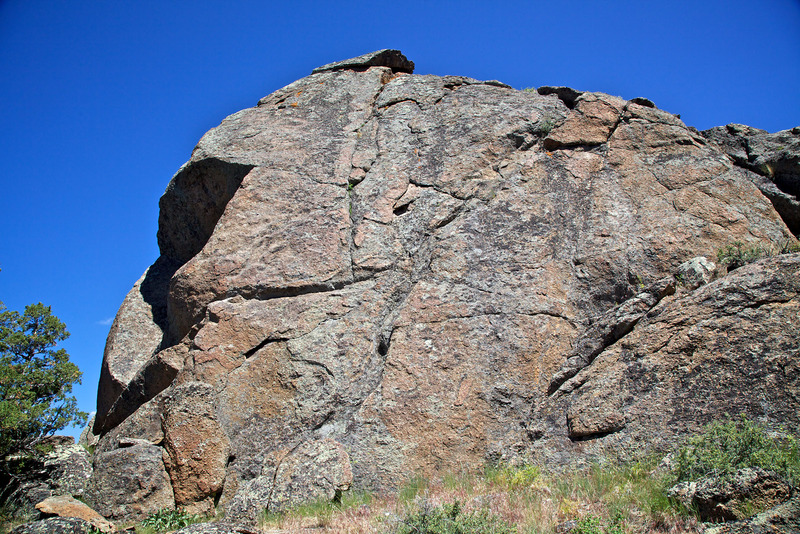 At the time of this writing (2011), the majority of the route’s at Boulder Lake are easy (5.4-5.10) but there is good potential for harder climbing on the steeper domes. 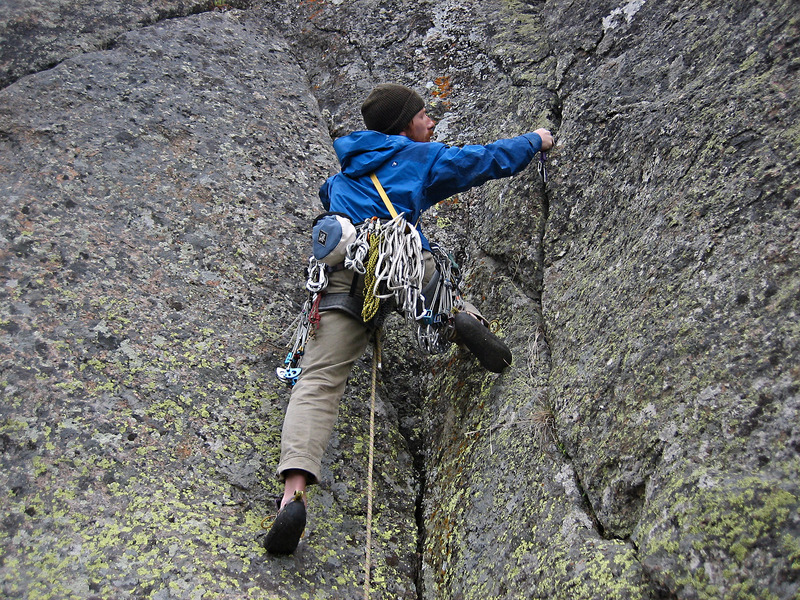 Until harder routes are established, Boulder Lake could be considered a suitable training ground for beginning traditional climbers that are not afraid of exploring or adventure climbing. 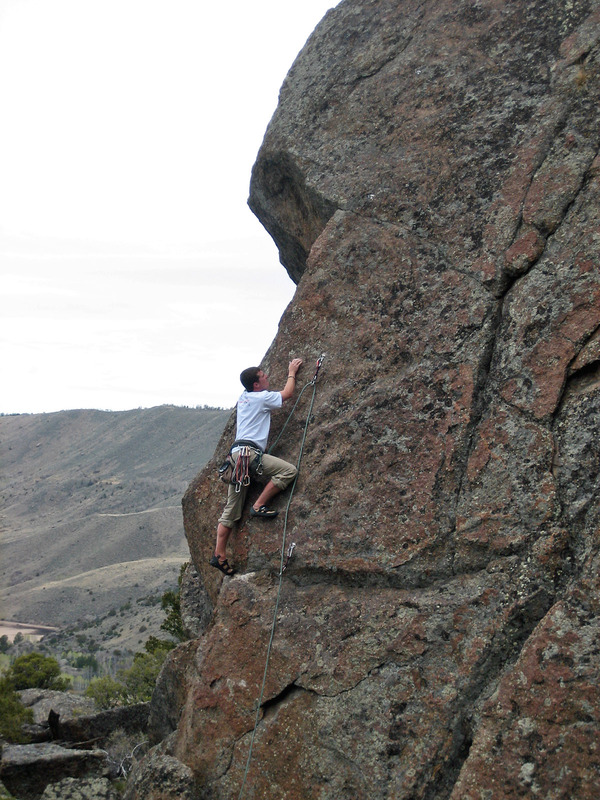 Keep in mind that this area is new to climb­ing. 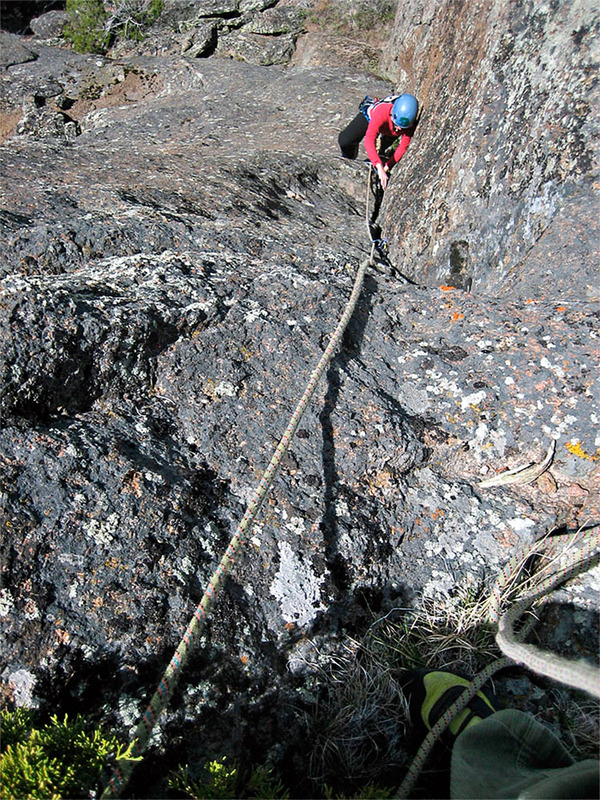 Many of the routes have only seen a few ascents – be prepared for loose rock and dirty cracks. Wear a helmet. Chase Milam on Slurp N Shine - 5.8. Mason Jar formation. Photo: Jason Burton. This guide is a rough draft, may contain errors, and has no warranty. 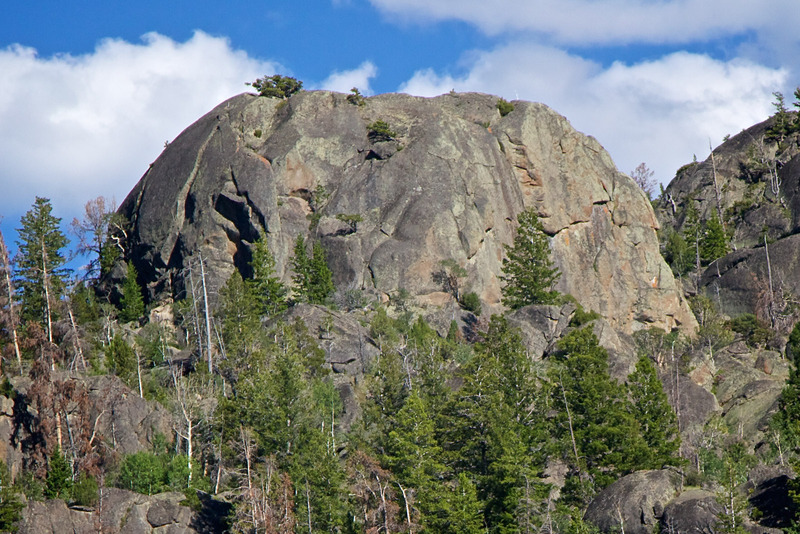 In reality, only a small fraction of the domes above Boulder Lake have been explored. 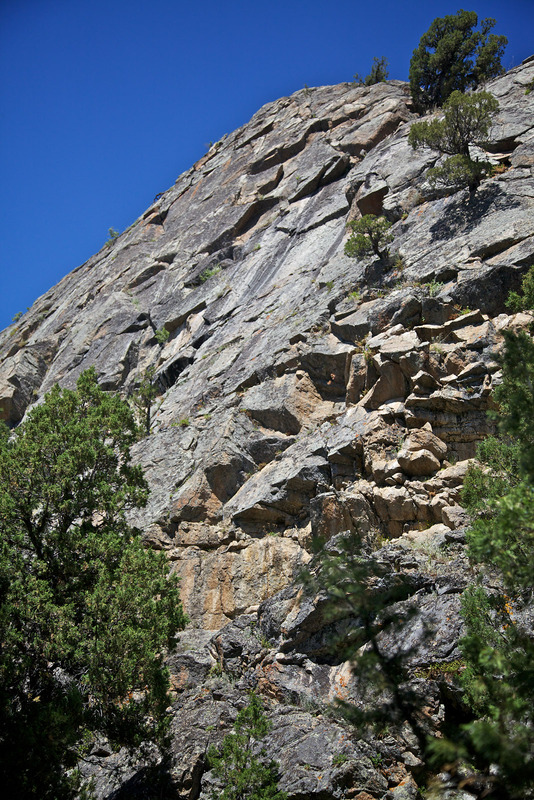 Few details are available, however, the largest formations have yet to be climbed and at least two walls hold promise for multi-pitch routes (two pitches). For those seeking greater challenges, there are at least four overhanging walls scattered about the uncharted territory south of Thunderdome. 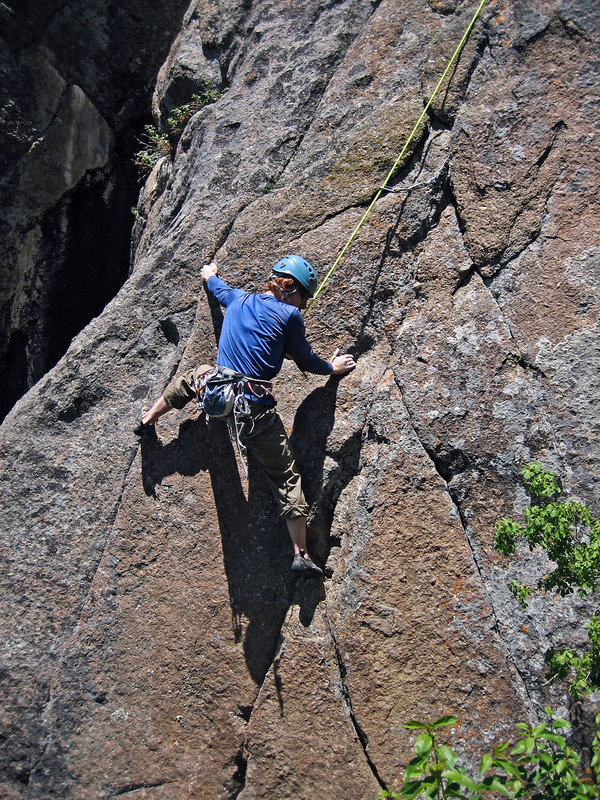 For those who choose to explore, the approaches may demand a rappel(s). 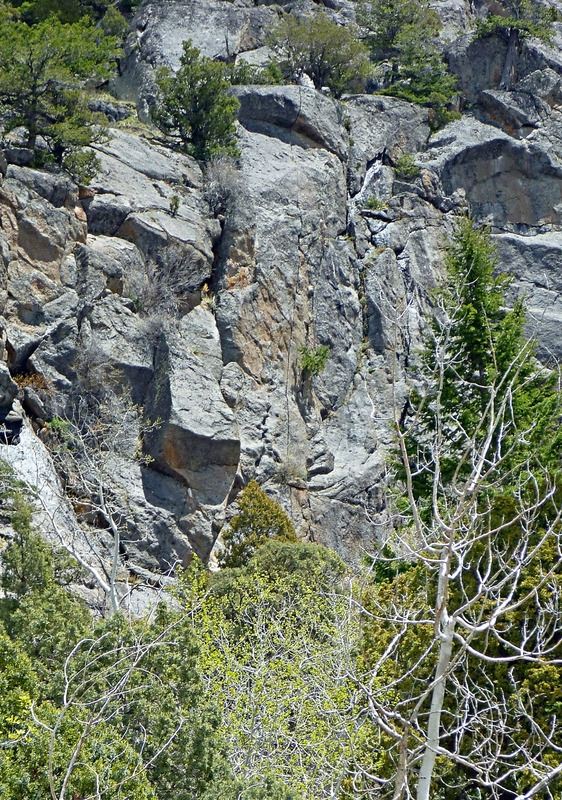 There are rumors of a lofty alpine buttress found somewhere further up the main trail. Please email Wesley Gooch (Wesley@ClimbingWyoming.com) the names, ratings, and a brief description for each route you establish. Alternatively, use the contact form to initiate communication, and include your contact information so I can followup. For clarity, photos of the problem, boulder, and climbers on route are greatly appreciated (and possibly even used in the Mini-Guide). First Ascent credits will also be recorded. 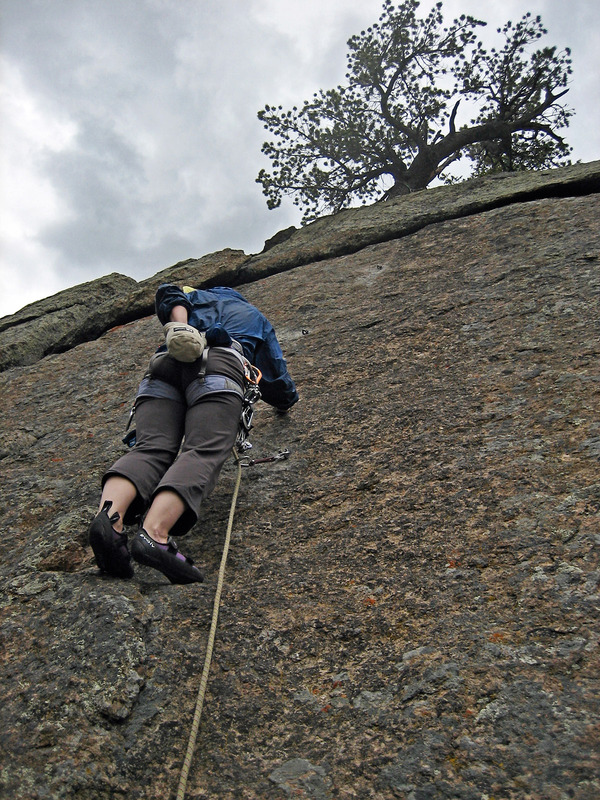 Climb Safe, Climb Hard, & Have Fun! The Ranch is great, worthy of a day of adventure and exploration. Sky Pilot, Wild Rose, Slurp N Shine, Range Life, and Prairie Smoke make it worth the trip. Plus all the potential! 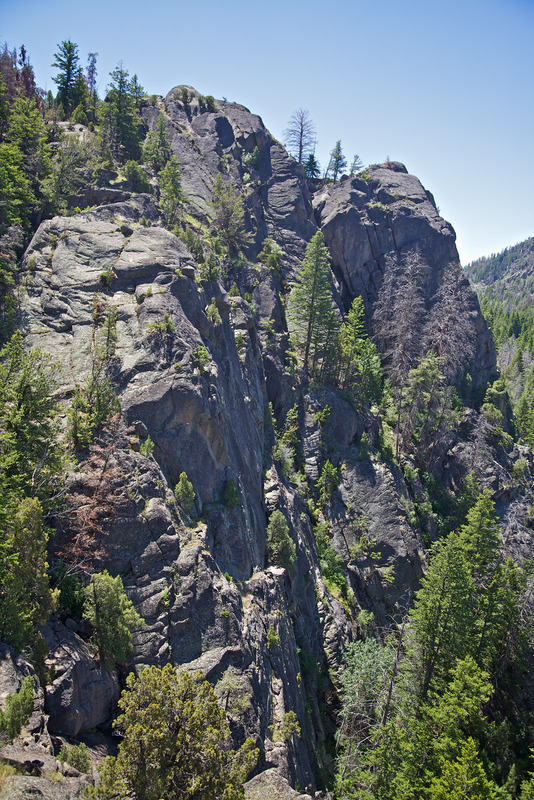 Hike the Boulder Canyon trail to the wilderness boundary and a small meadow. Just past a large juniper, look up and right and you’ll see the Wild Rose Dome above. This is where you’re heading. Leave the main trail toward a beetle killed snag, looking for a faint game trail heading up and right. Follow this to a low cliff band and ridge heading up left. Follow this ridge and turn the cliff where it ends. Scramble down toward a small pond then head right toward a rocky draw between two cliffs. Hike between these two cliffs via boulders and a trail that hugs the left cliff line, crossing a large log and then dropping into a vegetated gully. Head left up this gully finding the path of least resistance until a side-hill trail is seen on the right. Follow this vague trail up steeply left, then right until you reach another steep route up and left next to a short cliff. Keep heading straight up until the terrain flattens out, then head right through deadfall, looking for an obvious break in the cliff line. Follow this steeply up past some sawn logs and then keep going until you reach a small stand of aspen. Near the top, scramble up left on slabs until you are at the back side of the Mason Jar and the Wild Rose Dome is in sight. I’m so glad I found this page. I live in Salt Lake but have been hiking and fishing around the Pinedale area since I was a kid. My parents are currently building a cabin in the Boulder ranch area. I was up there a couple of weeks ago helping them work on it. Everyday I would sit and stare at all of the Domes around the area (in this article) just thinking that they probably have never been climbed but have a ton of potential. So glad to see there are few people up there developing some routes. I just got into trad climbing last year, so I’m really pumped to know there is good climbing within a few mins. of the ‘rents retirement. I am actually heading up there tomorrow to help my pop finish staining the place. Hopefully I get a few minutes to do some exploring around the new crags. Don’t know if I will get to climb though, but hopefully. Thanks for the positive feedback! It’s always good to hear that people are using my mini-guides. There’s plenty of new route potential out at Boulder Lake Domes but the area will require some motivated climbers to make it happen. Hopefully, this mini-guide will get people motivated to start exploring. Keep me posted if you have any knowledge to contribute.